Getting a good education means hiring the right instructors for the job. Without an effective instructor, learning the process of becoming a dental assistant and building a rewarding career in dentistry only becomes more difficult. That’s why, for our final newsletter of 2018, we want to show our gratitude to two of our instructors at Dental Assistant Pro: Head Dental Assistant Instructor Jeanne and Dental Assistant Instructor Angel. With their expertise, leadership and years of training, Jeanne and Angel create a learning atmosphere for our students that we’re proud to have. Considering that Ohio is quickly becoming a hub for dental assisting careers, we couldn’t be luckier to have them on our team. As you buckle in for holiday break, we hope our students and those interested in pursuing dental assisting will take the time to learn more about them. After all, our instructors are the backbone of the dental assistant program in Lebanon and Columbus. Jeanne has always loved giving back to others. 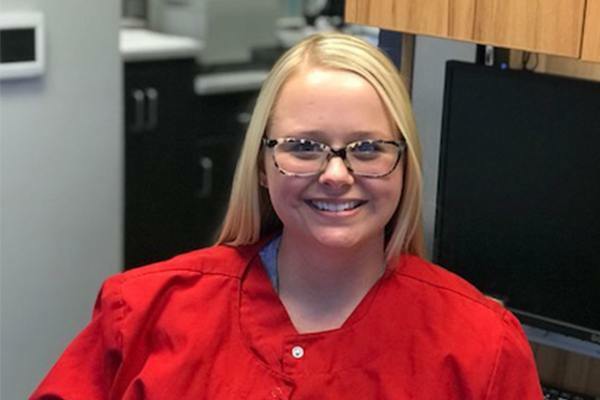 With her passion for teaching others and compassion for dentistry, she’s in a unique position to help those around her gain not just the right education, but the right perspective as a dental assistant. Of course, many of her students also went on to become Expanded Function Dental Assistants or EFDAs, as well as dentists. Being an ideal instructor, she understands that her students shouldn’t back themselves into a corner or pursue only one path in the dental field. Jeanne’s story with Dental Assistant Pro started 10 years ago after studying at Sinclair Community College. After graduation, she underwent multiple advanced training courses in many other fields, including orthodontics, endodontics, periodontics, oral surgery and implant placement. Her favorite topics to teach include tooth replacement options and implants; she’s currently a surgical dental assistant and helps her doctor place implants quite regularly. Now that her two children are full-grown adults, she’s prepared to help shape the outlook of newbies to the dental field and help them understand what it takes to work their way to the top! During her free time, she enjoys visiting her grandchildren’s sports games and visiting the beach for vacation with friends. Ever since she was a little girl, Angel has been interested in the dental field. Today, one of Angel’s favorite aspects of being a dental assistant instructor is seeing her students succeed in the industry. She also loves getting to meet and know her students; good thing more and more individuals are considering the path to dental assisting! Angel is originally from Grove City, OH and has seven years of experience in dentistry so far. After completing her studying at Columbus State Community College, she earned her Associates in dental lab technology/small business management. When she first learned about Dental Assistant Pro, she became a student herself before eventually becoming an instructor. As an instructor, she encourages students to not be afraid to ask questions when they need to clarify what’s being taught to them. Her favorite topics to teach include extractions, surgical treatments, X-rays, impressions and other hands-on treatments. Today, Angel is married to her husband Payne and has two sons and a dog of her own. 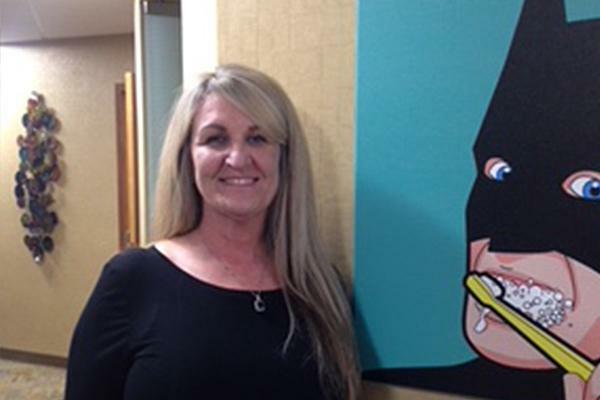 When she’s not teaching students, she’s at home spending time with her family, reading, watching her favorite baseball team the Ohio Tribe and building her collection of vintage and retro antiques. Dental Assistant Pro is incredibly proud to have only the most knowledgeable and influential instructors possible, so we’re glad that Jeanne, Angel, and the rest of the instructors are here to teach Ohio students everything they need to know to succeed at our dental assistant school in Columbus and beyond. While the holiday break is ongoing, we hope you give us a call in the new year to learn more about building a fruitful career in dentistry. Until then, have a happy holidays and a joyful new year!